 Talking Teleradiology in Imaging Economics - ONRAD, Inc. Imaging Economics | Marianne Matthews| November – A new teleradiology group is about to be born. Here’s the point-counterpoint from two industry professionals. Even so, the radiologists I’ve been talking with recently say teleradiology will be a topic of conversation at RSNA—if not in the sessions, then in the exhibit halls, in the corridors, and over cocktails. Many in the industry are already abuzz about the recent announcement of a merger between Virtual Radiologic (vRad) and Nighthawk Radiology. By joining forces, the new entity will have 325 radiologists serving nearly 2,700 health care facilities across all 50 states and will read approximately 6 million studies each year. The new merger comes on the heels of Franklin & Seidelmann’s launch of Radisphere National Radiology Group in April. Radisphere has been criticized for directly competing with local radiology groups for lucrative hospital contracts. So what can we expect from the vRad-Nighthawk marriage? I spoke with vRad President and Chief Executive Officer Rob Kill, who said the goal of the merger is all about delivering high-quality patient care and excellent service. I asked if the new entity would seek contracts directly with hospitals and, in so doing, perhaps be seen as a threat to local radiology practices. “Our philosophy [at vRad] has always been to serve local radiologists. We don’t compete with them; we collaborate with them,” he responded. I asked about Nighthawk’s very public commitment to the radiology community and if the new organization might emulate it by putting something similar into effect. “There is no need to put out a code of conduct because we’re partnering with local radiology groups, not competing with them,” said Kill. But I’m sure Mr Kill is not so naïve as to think that everyone will accept his “just-trust-me” attitude—least of all, his competitors. StatRad naturally has their own agenda: After all, they are a competitor. The San Diego-based team of approximately 20 radiologists is a “mid-sized teleradiology group” that is focused on night reads, high-level care, and partnering with local radiology groups, according to Verma. StatRad, he said, is “primarily owned by radiologists,” with two minority partners who are not physicians. And that, suggested Verma, makes all the difference. Kill’s sand imagery is appropriate. As I’m talking teleradiology, I want to say, “Let’s play nice, boys. Let’s share the sandbox.” Let me know what you think about the new merger and the teleradiology evolution.